Why Choose SCG Industries Limited for Your Remediation Project? SCG Industries Limited is a knowledge based environmental remediation services provider. Through the use of leading edge technologies, approaches and a wealth of experience SCG provide innovative solutions for the assessment, management and remediation of impacted sites. SCG is committed to the safety and well-being of all employees, our clients and the general public. It is our primary objective to provide a safe, healthy work environment and we are continually dedicated to reducing the risk of work related injury or illness. Provide effective/innovative/economical remediation solutions to our global clientele’s toughest environmental challenges. Providing value through responsible actions, effective operations, and team cooperation. We will realize our vision through our investment in exceptional projects and people. In the early 1990s, the remediation industry in Canada had just begun to take off in earnest. In these early days, projects were fueled by American ideas and technologies imported to the Canadian Marketplace. Seeing an opportunity to provide local technologies and expertise, SCG was founded. As other Canadian and American suppliers of remediation technologies entered the market, SCG remained competitive through innovation. SCG emerged as a preferred manufacturer through their strength in design and ability to leverage practical and technical understanding of technology application. This edge over the competition enabled SCG to help their clients with custom designed technologies and the skills to apply them aggressively to reach project goals. As new technologies continued to be introduced, SCG continued to develop and adopt them to the Canadian Marketplace. In the mid 1990’s Bioslurping or Multi-phase Vacuum Extraction (MPVE) was initially developed to commercial scale by the US Army Core of Engineers. This technology entered the market at a critical junction when the need for technologies capable of cost-effectively remediating petroleum hydrocarbon sites was critical. This new technology was promising due to its ability to effectively recover free phase mass while simultaneously treating sorbed, vapour, and dissolved phase contaminants. SCG embraced this new technology as an effective means of aggressively remediating petroleum hydrocarbon sites. SCG developed novel design and application techniques to expand the effective range of the technology and reduce the costs of operation. This research and development lead to success in MPVE application on a wide range of site conditions include operation at depths and in geologies previously deemed unacceptable for the technology application. SCG subsequently emerged as an expert in the technologies design and application across the United States, Canada, and the Caribbean. These advancements lead to success on some of the largest petroleum hydrocarbon remediation projects in North America. This work included contracts at US Superfund Sites, Military Bases (Canadian and American), and large private projects. One of these projects, the Goose Bay Remediation Project, provides an opportunity to publicly showcase these breakthroughs. SCG effectively applied MPVE at depths greater than 25 meters, far beyond the theoretical maximum depth for vacuum based technologies. 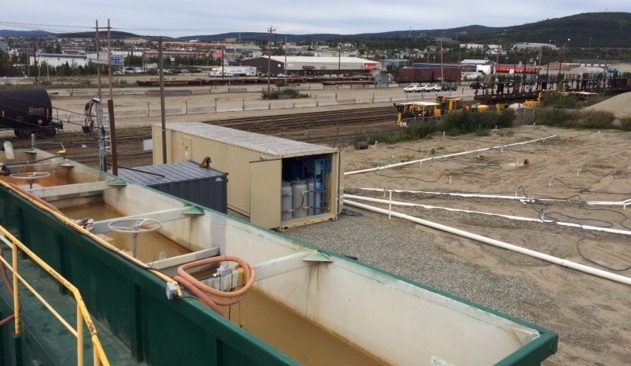 This project culminated in the deployment of 12 MPVE systems and lead to the removal of more than 1, 300, 000 L of hydrocarbons from the subsurface. Through these and other projects SCG further refined their suite of remedial technologies and expertise. Further development focused on the application of supporting technologies to enhance the ability to meet project goals. These developments included advancements in thermal injections, chemical amendments, and design/component efficiencies to enhance remediation efficiency for a wider range of site conditions, contaminants, and goals. By 2012 SCG began to witness firsthand the use and benefits of “High Resolution Site Characterization Technologies (HRSC)” such as the UVOST and MIP on their sites. These technologies were of interest to SCG due to their capacity to reduce uncertainty and help stakeholders conceptualize site dynamics. After years of witnessing technology misapplication and unfortunate surprises due to limited, unrepresentative site assessment data, SCG immediately recognized the opportunity to bring this beneficial technology to the Canadian Market. SCG adopted these technologies in 2014 and has since seen exponential growth in their uptake across the Canadian Market place. 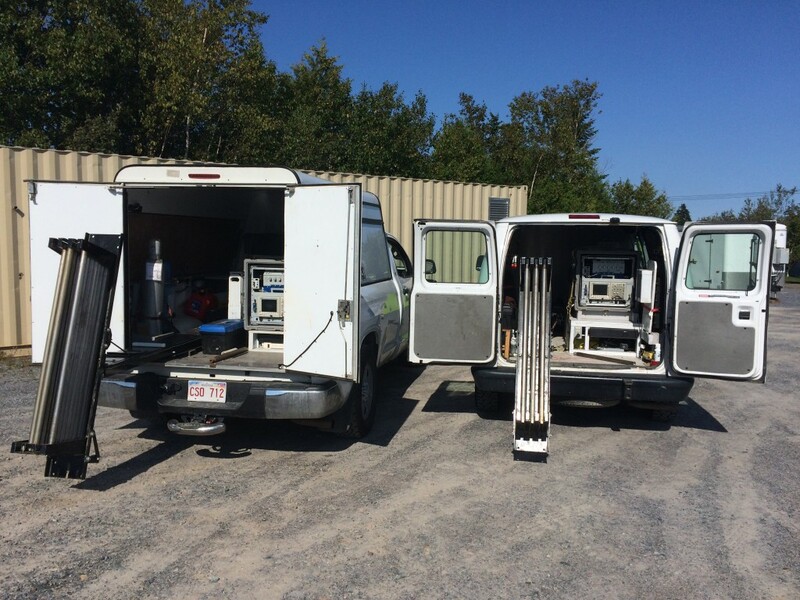 Since then, SCG has deployed these technologies in support of site characterization and remediation projects across the US and Canada. SCG has continued to innovate in this arena by developing unique application methodologies in conjunction with Academic institutions and by adopting emerging HRSC technologies. Since 1993 SCG has been providing leading edge technologies through continuous development and the adoption of emerging technologies and methodologies. This spirit has enabled the company to expand its services from manufacturing to include design, application, and execution of high resolution site investigations and complex remediation projects. We believe this spirit will help us continue to provide exceptional technologies and services to our clients over the next 25 years. I have not written letters of praise to many of the companies I have worked with over the years, but in this case, I think I should go on record. I have been in the construction industry for 38 years and have encountered many excellent companies but only a few have measured up to your company’s standard of professionalism and expertise. You and your staff have been exceptional to work with over the past and I look forward to working with your organization in the future.